The second installment of the Bard's Tale Trilogy, The Bard's Tale II: The Destiny Knight was released by Electronic Arts in 1986. It was written by Michael Cranford, creator of the first Bard's Tale. Versions were available for the Commodore Amiga, Apple ][, Apple IIGS, Commodore 64, and MS-DOS. Hundreds of years ago, the archmage Turin forged the Destiny Wand, which brought peace and prosperity to the Realm. Now the evil archmage Lagoth Zanta has taken the Wand and broken it into seven pieces, which are scattered around the Realm. You must find the pieces, destroy Lagoth, and reforge the Destiny Wand, bringing peace back to the land. 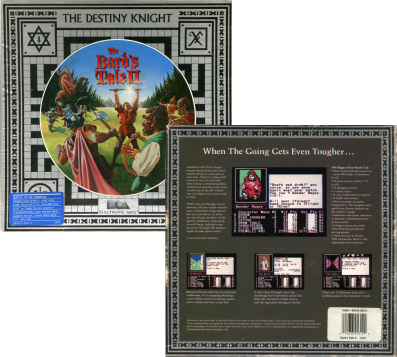 Destiny Knight is in the same style as the first Bard's Tale, with parties of up to seven characters. All ten character classes from The Bard's Tale are available, and the Archmage class has been added. Who now is trapped as evil's pawn. And in this power lies the pact. Now try the quest, friend ... for a while. My name is Saradon, a wizard of some fame and little fortune. Though you know me not, and we have never met, I feel that I have known you all my life. For the story of your deeds, your entanglement with Mangar and his evil horde in Skara Brae, flows from the lips of every Bard throughout the Realm. For this reason, for your courage and experience, I have contacted you above all others. For now we face an evil much greater than Mangar's. An evil that threatens not the safety and tranquility of but one city, nae... an evil that threatens the existence of the entire Realm and all the cities and citizens within! Recall now the lessons of your childhood. The story of Turin, the archmage who forged the Destiny Wand in the molten depths of the holy mountain Krontor. The Destiny Wand, the uniting force which has rallied armies to the aid of the Realm, and has maintained peace and prosperity for the last 700 years. But look around you now, where has the power of the Destiny Wand gone? Lawless mercenaries from the neighboring kingdom of Lestradae have invaded the Realm and now run rampant through the streets. Even in Tangramayne, our capital! It is they who have taken the Destiny Wand, with the guidance of an evil Archmage known as Lagoth Zanta. Although Lagoth has thwarted each of my attempts to gain knowledge of his powers and location, I have been able to discover that the Destiny Wand lies broken in seven pieces, at seven different locations. Lagoth has placed each fragment of the scepter within a Snare of Death - a puzzle room that will require all the wisdom and cunning at your disposal in order for you to survive. Do you believe in legends? Legend states that, "Unimaginable power is bestowed upon the one who reforges the Destiny Wand..." Regardless of whether or not you hold faith in the stuff of legend, you must defeat Lagoth Zanta, regain the seven fragments, and reforge the Destiny Wand - it is the only way to save the Realm. Now I must hurry, for in my attempts to glean knowledge of Lagoth, he has discovered my prying magic and even now his mercenaries approach. I care not for my own safety, but I pray that my magic is still strong enough to deliver this letter and the accompanying booklet into your hands. The booklet contains powerful quest knowledge which I have gathered using magic and other, more physical, methods. Use it to help you during your quest. My only regret is that I cannot personally be there to counsel you during your quest. May fate smile upon you... and upon me. While Mangar had been banished, a new threat arose in the cities of the plains. An archmage greater still named Lagoth Zanta raised armies of monsters, undead, and other abominations assaulted that realm, and took the Destiny Wand -- beacon of peace and prosperity -- and sundered it into pieces, ushering in an age of darkness. An agent named Saradon, working to thwart Lagoth Zanta, discovered the nature of his protections of the fragments of the wand, and before he was captured, and likely killed, he sent a letter to our heroes, requesting they take up this quest. The quest to reforge the Destiny Wand and take on the title and powers of the Destiny Knight. In one house, a strange man claimed it was urgent that the heroes rescue a princess. Despite having no bearing on the greater quest before them, they felt the (optional) yearn of this damsel in distress. Past a number of interesting riddles, the heroes befriended a winged creature of some insect derivation, and in the darkest bowels of the earth were flown across a bottomless chasm by their new friend. Reaching the chamber of the Dark Lord, they dispatched him, only to find that the princess was in fact an ogre-princess, though they rescued her all the same, and were rewarded for this outing with precisely nothing, except a hint to seek the Sage, and ask of the TOMBS. Scouring the wilderness between towns, they located the spartan hut of the Sage. He offered knowledge of items, or secrets, but demanded a high price in gold. 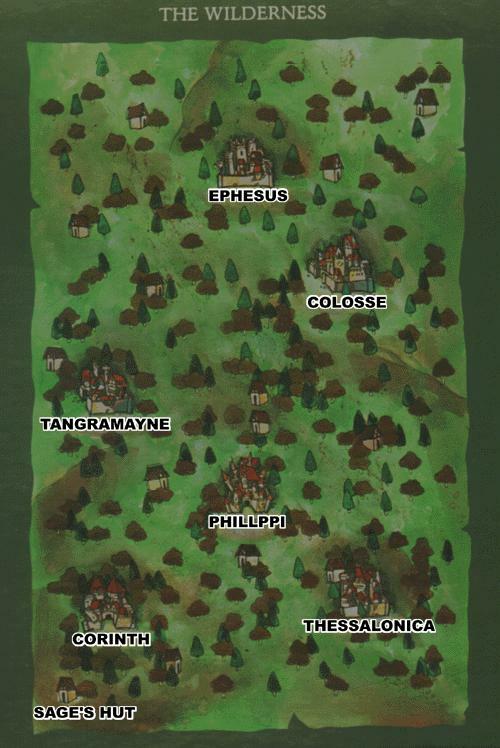 The Sage provided the location of the tombs, the city of Ephesus, and informed them this was where they would find the first segment of the destiny wand. Unsurprisingly, the tombs were a house of the undead. A dungeon of tricks, but not any real danger, the party found their way to the bottom, and encountered the first Death Snare. Lagoth Zanta's voice spoke out and taunted the heroes, saying to solve the riddle in minutes or else die, but they were prepared, and emerged victorious with the first segment, and a hint to ask the Sage of FANSKAR'S FORTRESS. And so it continued. They defeated the warrior mage, Fanskar, a failed Destiny Knight himself, in his wilderness castle, and bested the Snare there, a simple logical puzzle for their sharp minds. From there to Dargoth, a once-human beast holed up in a tower. Five flights of twisted cunning led to a Snare that required piercing lateral thinking provided by the nimble mind of their bard. On to Maze of Dread, a hideout of a guild of assassins who kill for pleasure as much as for payment. 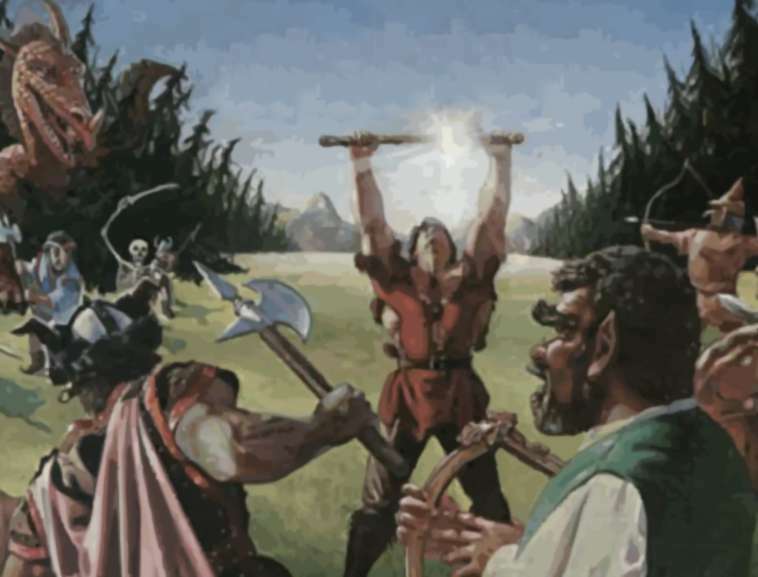 The party acquired the foretold Sword of Zar which could strike a man dead at 80 yards, and then continued on to defeat a Snare that tested their perseverance as much as their wit. A clue referencing the Zen Master did not seem to fit in anywhere. And through it all, the voice of Zanta continued to laugh at them, or was it showing grudging respect? In order to take on their next challenge, Oscon, the heroes searched out the help of an ageless man made of stone: Kazdek. Despite Kazdek's nearly complete disinterest in the happenings of the mortal world, he granted his assistance, and handed over the tiniest lump of enchanted stone. This gave entrance to Oscon's home of darkness and misdirection. The Zen Master was referenced repeatedly in whispers, but never appeared. Oscon himself fell to their blades, but there were warnings that the Snare he guarded could only be solved with a party of four. One of the mages and a Monk teleported out, to await the fate of the others. The Snare turned out to be a child's game, and armed with the next segment, they turned to seek the Grey Crypt. Here the Sage gave no hint of its location, only that no spells would function inside it. However, investigation of the wilderness far earlier had turned up a nameless crypt. The pieces fit, and on they went. And the dungeon trapped them. Poisoned and cut-off with no access to the exit stairs, they thought all hope was gone, but somehow managed to satisfy a Sphinx's riddle and escape. Grim and determined, they returned the next day, dodging away from fights, and skirting around traps, they worked their way down to the clockwork heart of the Snare, emerging with the hollow taunts of Zanta in their ears. Of the last dungeon, the Destiny Stone, the Sage gave only an incoherent poem, which remains a mystery to this day. They tracked down the dungeon and the riddle of the entrance on their own. On and on came presagings of this Zen Master. Was it a joke? They found the secret of the Dreamspell, the fabled magic casting which bends reality to itself. Blasting their way through with new-found power to reach the Snare, where they found at last this Zen Master. Following his lead they traced a twisted pattern through an ever shifting maze in a manner that had been foretold on ancient scrolls (the manual), they won through to claim the last piece of the wand. Lagoth told them to meet him at the Sage's hut to face their destiny. Was the sage to be killed for his contributions? Before visiting the Sage, however, the party retired briefly to the Temple of Narn, where the wand was reforged, and their Archmage transformed into the Knight of Destiny. Arriving at the hut of their guide, wondering what might have befallen him, they found him unharmed. Unharmed and defended by endless ranks of foul demonic guards. He had been Lagoth Zanta all along. Why did he assist the heroes? What was the gain? But no time for those questions as the battle was joined. And just as quickly, the heroes died. But the destiny wand flickered, and the Knight rose anew. The Dreamspell on her fingers, the Destiny Knight returned all the heroes to life, and her foes to ash. And so was Lagoth Zanta banished from this plane.